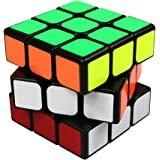 The Rubik's cube is the iconic and classic color matching puzzle that has fascinated puzzle enthusiasts since its launch in the 1980's.Turn and twist the sides of the cube so that each of the six faces only has one color. 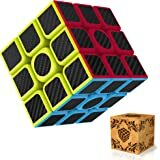 With over 43 quintillion moves possible and only one solution- be warned this toy is highly addictive this is the new original 3×3 Rubik's cube with faster, smoother and tougher tiles. 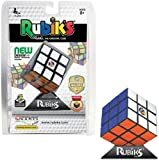 The traditional stickers have been replaced with plastic tiles, which mean no fading, peeling or cheating if anyone ever tells you they can solve the Rubik's cube by peeling the stickers off – hand them one of these the Rubik's cube is the classic color-matching puzzle that's a great mental challenge at home or on the move. 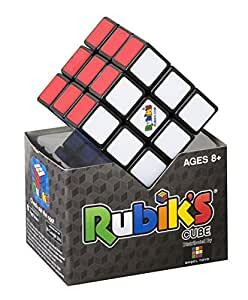 Turn and twist the sides of the cube so that each of the six faces only has one color. 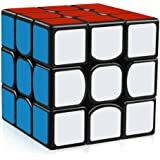 Over “43 quintillion" (that's 43 with 18 zeros to you and me) moves are possible with this original 3×3 cube, but there is only one solution with lots of practice you can solve it in under 10 seconds the Rubik's cube is incredibly addictive, and has fascinated fans since it arrived in 1980. 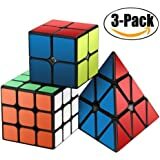 A must for puzzle lovers, the aim is to twist and turn the Rubik's cube to return it to its original state, with every side having one solid color. 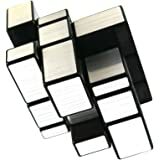 For those who struggle to master this challenge – or simply lack the patience – just look up the easy to follow solve it guides online at www.Rubiks.Com high quality hobby games and accessories. Fun and strategy all in one box. Perfect for families and strategy gamers alike.